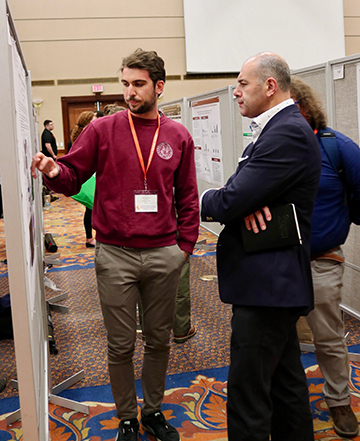 Researchers from across the globe gathered in the Reitz Union at the University of Florida for a three-day muscle biology conference last week. Andrew Judge, Ph.D., the conference co-chair, explained that most conferences are either too large, focusing on subjects like biology, or too small, focusing on a single disease. He said the organizing committee wanted to create a broader but intimate conference that covered multiple aspects of adult muscle biology. The Advances in Skeletal Muscle Biology in Health and Disease Conference focused on seven topics: Biology and Biomarkers of Muscle Diseases, Mechanics of Muscle Wasting, Muscle Force Transmission and EC-Coupling, Nutrition and Muscle Metabolism, Muscle Hypertrophy and Mechanotransduction, Skeletal Muscle Aging, and Mitochondria and Redox Biology. Judge said the goal was to make the subjects as broad as possible without diluting them. A total of 355 researchers and scientists came from across the United States, Canada, Australia, New Zealand, Japan, and all over Europe. Judge said the organizers focus on making the conference a friendly environment and place a high emphasis on including trainees. Approximately 50 percent of the attendees were junior scientists, graduate students or postdoctoral trainees. Most conferences only include 10 to 15 percent of trainees. The registration cost is also considerably lower than most conferences. Judge said they wanted to make the conference affordable for trainees and help offset the cost of flying for the international attendees. “This conference is important because it brings together people at various levels in their careers and across of multiple aspects of muscle biology,” Judge said. Melissa Spencer, Ph.D., a professor of neurology at the University of California, Los Angeles, said she had not attended a basic muscle meeting in a long time. It was Spencer’s first time attending the Muscle Biology Conference, and she said the conference was very thought-provoking. Meeting new people and discussing research projects allows attendees to gain new perspectives, Spencer said. Head of Laboratory and professor at the University of Melbourne in Australia, Gordon Lynch, Ph.D., said that there aren’t many muscle-specific meetings worldwide and when there are, they tend to be very small and narrowly focused. Lynch said the freedom to interact with people of various levels of academic careers is important to everyone involved. 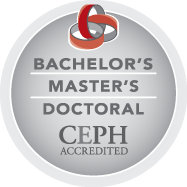 The trainees bring energy and enthusiasm, and the senior researchers bring expertise and perspective. “Just to have muscle biologists, fundamentally, in a room together is fairly unique and it’s wonderful to interact with people,” Lynch said. Lynch said he enjoys research because there are very few careers that encourage a continuous level of learning. He regularly attends and speaks at conferences worldwide. Thomas Cheever, Ph.D., program director of the National Institutes of Health’s Muscle Disorders and Therapies program, noted the importance of conversation. Cheever said breakthroughs come from people with different backgrounds and free-flowing conversations about science. He said there is a significant benefit to bringing people together from different areas to discuss research. He noted that the NIH places a high emphasis on trainees. Advances in Skeletal Muscle Biology in Health and Disease is supported by several UF sponsors, including the Myology Institute and Wellstone Center, the colleges of Health and Human Performance and Public Health and Health Professions, the department of applied physiology and kinesiology and the department of physical therapy. 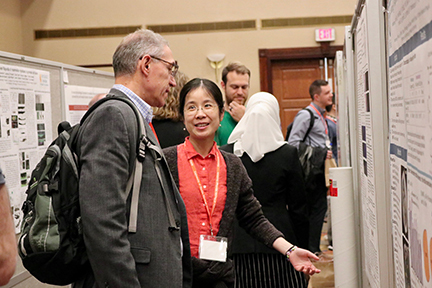 In addition, the conference received sponsorship support from multiple external sources including Advent Health, the American Physiological Society, the American Journal of Physiology, Aurora Scientific, Sarepta Therapeutics, Pfizer and The FEBS Journal.